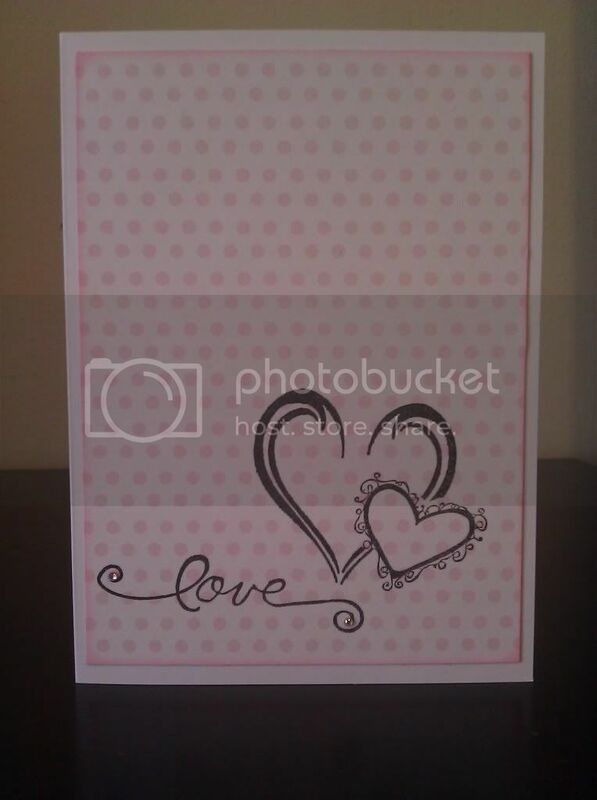 I kept it simple, used a pink polka dot paper. Which I inked the edges of the paper with Rosebud ink by ColorBox. 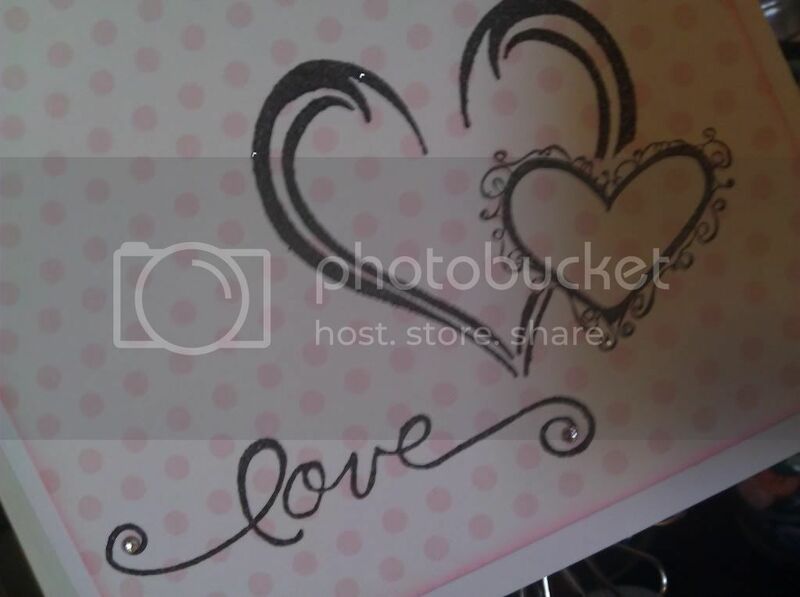 I stamped my little heart on first using black ink and used a 'mask' over it. ( For the mask, I stamped my heart on a piece of scrap paper and then cut it out). 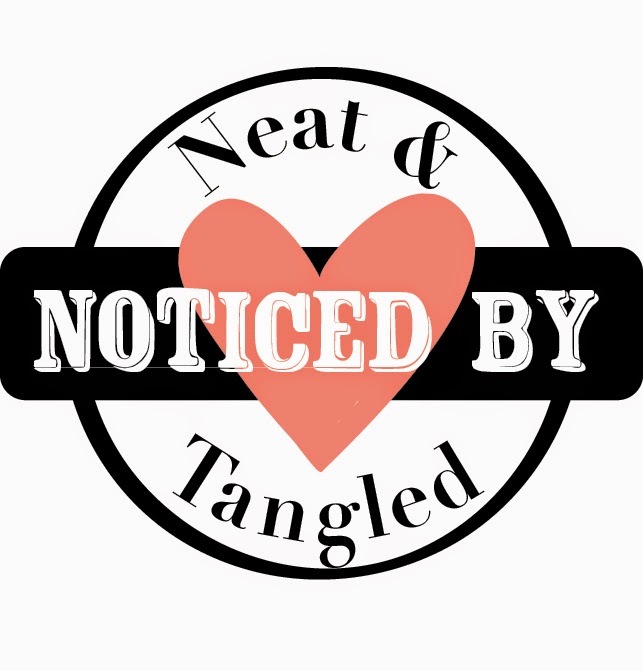 After laying my mask on top of my little heart, I stamped on my big heart. Again, I used black ink but while it was still wet, I added a coating of black glitter ( I used sugar coating glitter in black beetle by Doodlebug Design Inc.). I wanted to add a little touch of something without making it too over the top. 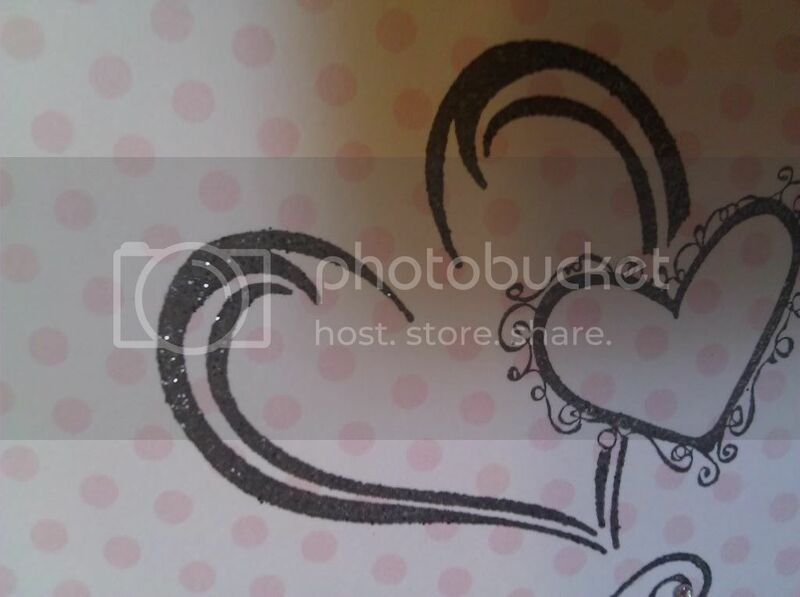 I then stamped on my love and added a couple clear rhinestones. Hey everyone! I hope your all having a great week so far! :) So, fihnally after all this time of having no cards to post...here is TWO little cards I made!! YAY! I was out and about last week and picked up a couple 1$ stamps. I knew I would put them to use sooner or later. Lucky for me, it was SOONER rather than later! 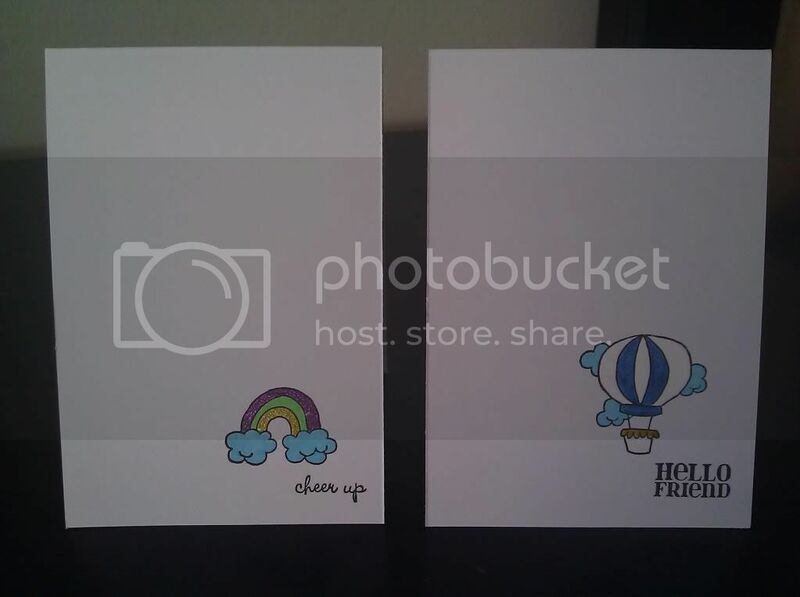 Both cards are made with the same little clear stamp set. I used black ink and colored them with gel pens. I haven't used gels pens in quite awhile and figured "why not?". 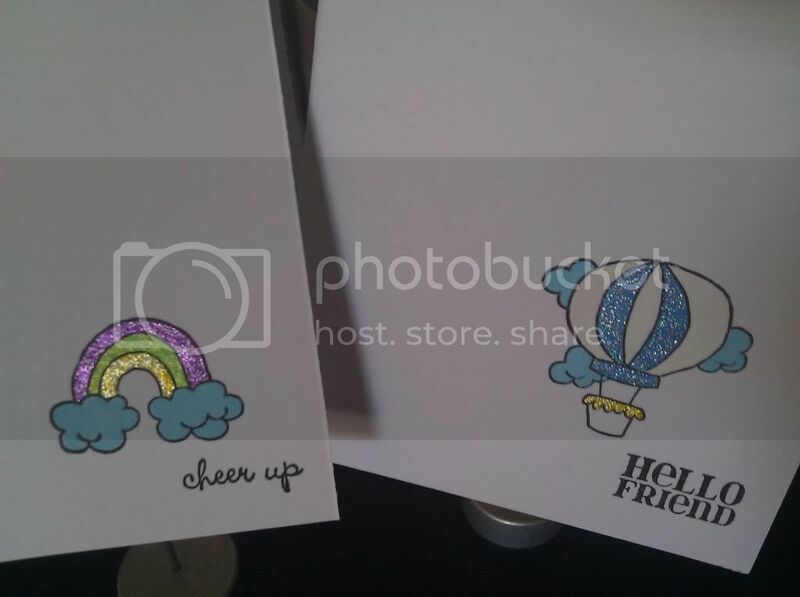 Also, the white on the balloon was used with a white gel pen (not sure if you can tell from the photos or not?). I kept it simple and thought they would be cute to hide in a lunchbox/slip into a mailbox, etc. Hey everyone, Happy Friday!! So, this weeks CAS-ual Fridays Challenge is #30 Tic Tac Toe! 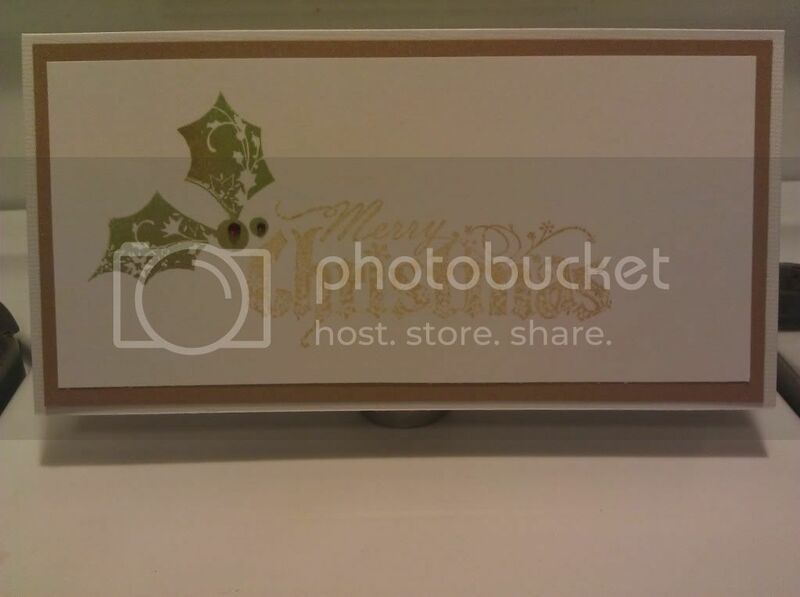 You had to choose a row of three design elements to use. The elements I chose to use were: Pink, Kraft, and Stripes. I just kept my card simple and was trying to stay focused on what elements I needed to use. I used some paper that I had for quite sometime now and cut them to different lengths. I inked the edges of each strip (lightly). For my 'stripe' strip I used foam squares on the back to pop it up from the others. 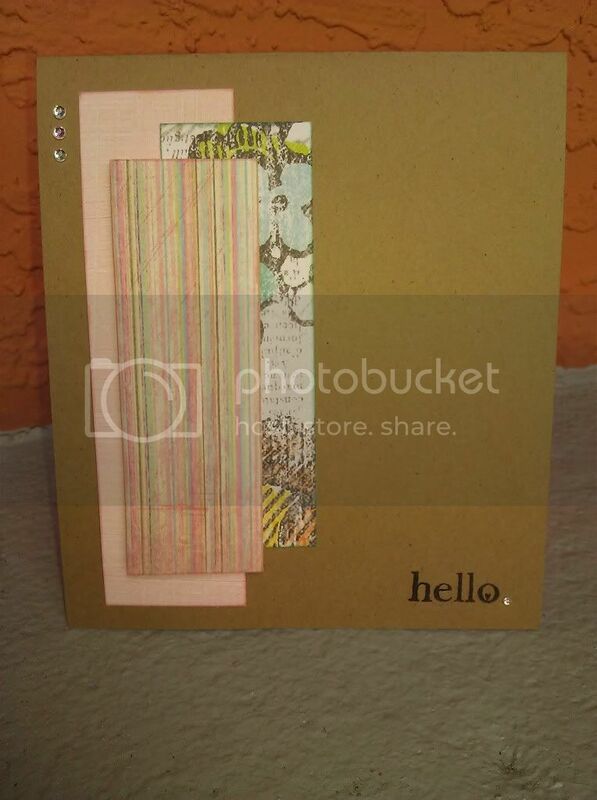 I added a few rhinestones and stamped on my 'Hello'.